Yesterday was a cool and cloudy day with the promise of rain, so I took advantage of the weather to work in the woods. I was down in the creek bed, pulling some vines that choke the trees. 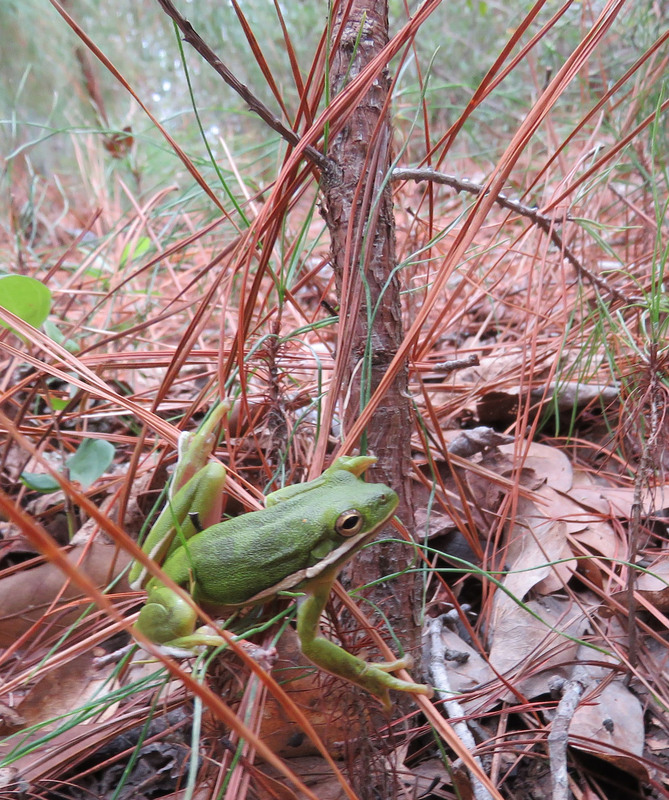 I reached for a handful of honeyvine and a Green Treefrog jumped right onto my face! I had not even seen it in front of me. I don’t see them often, but when I do, it’s usually because they have jumped right onto me and stuck. I grabbed him and held on until I could get my camera, then set him back on the ground for a few shots. 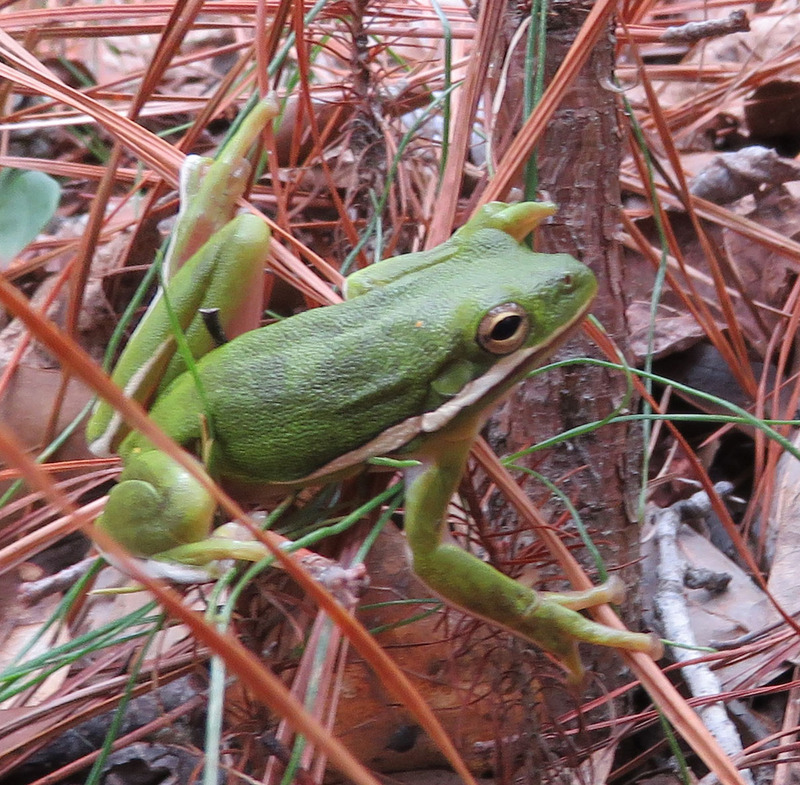 I like this shot from ground level, showing what fallen pine needles look like when you’re a 2-inch long frog. Green Treefrog, Hyla cinerea, close-up. A nice bit of color on a gray day. So cute and a great perspective… love the look of your blog. I love frogs. But if one jumped on my face when I wasn’t expecting it, I’d probably scream. Ahh, I know that stuff, my kids used to love it. And I’d toss it out when it got full of dust and dirt. Ick.